On a particularly wet and vile February morning I was fortunate enough to be given the opportunity to visit St Michael's and examine the remarkable design of the roof. Because of the poor light and the tiny built-in flash on my digital camera, I'm sorry that the pictures on this page, although digitally enhanced, are not of good quality. 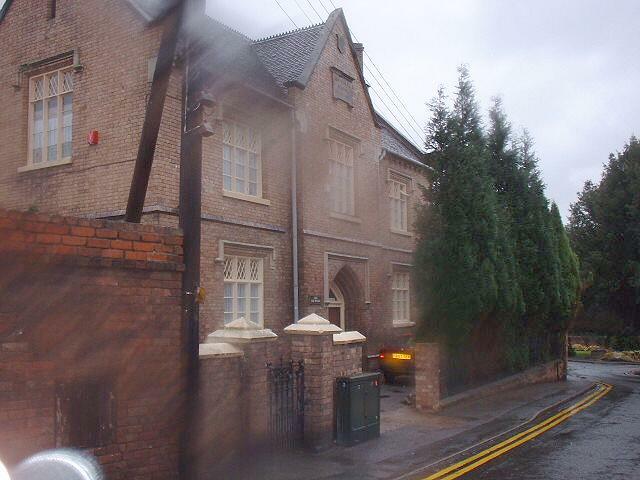 The site has been a place of Christian worship since 729, and the present building dates from 1794-6, replacing a building which had become unsafe. 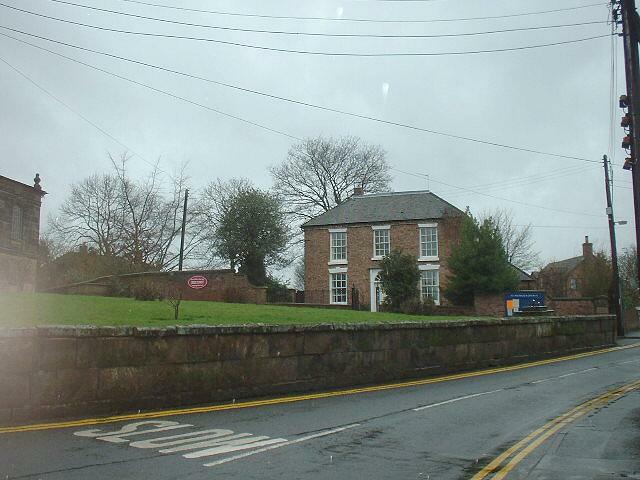 It was designed by the Scottish engineer Thomas Telford, whose reputation in Shropshire as County Surveyor led to a new town being named after him two-and-a-half centuries later. 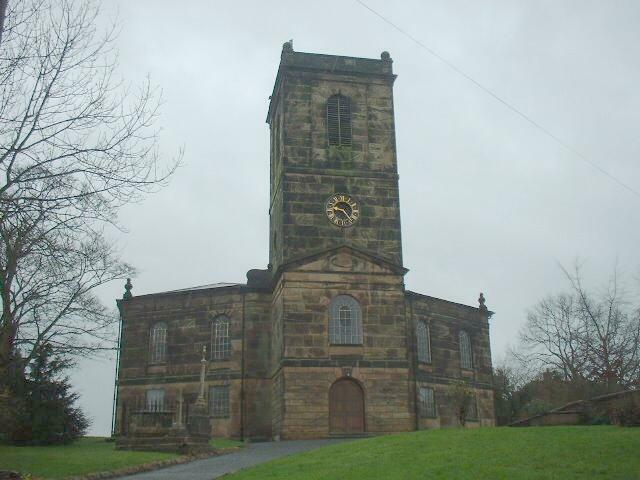 The church stands some way from the modern Madeley town centre, on a road which has declined in importance. 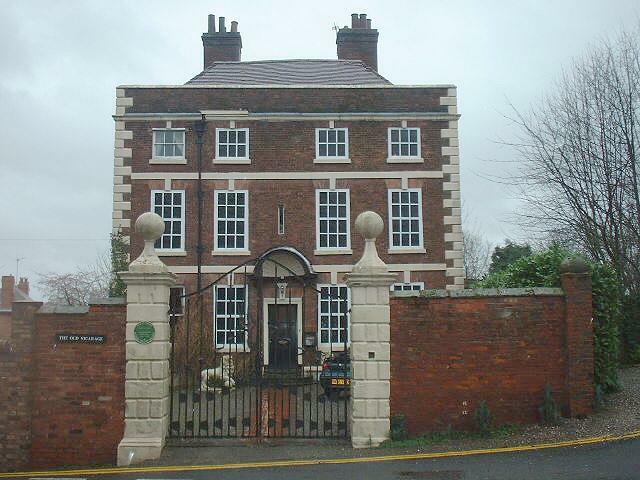 The Vicars once lived in splendour in the old vicarage, but later removed to the slightly more modest new vicarage at the other side of the church, whilst opposite the church is the fine Board School building, now a private house. Inside, some of the Victorian pews have been removed to create more flexibility for modern styles of worship. 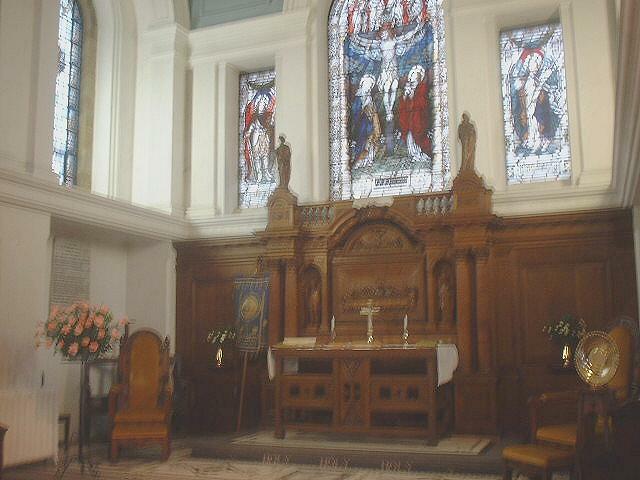 Originally, a pulpit stood in the square apse where now there is a fine carved reredos and Victorian stained glass. 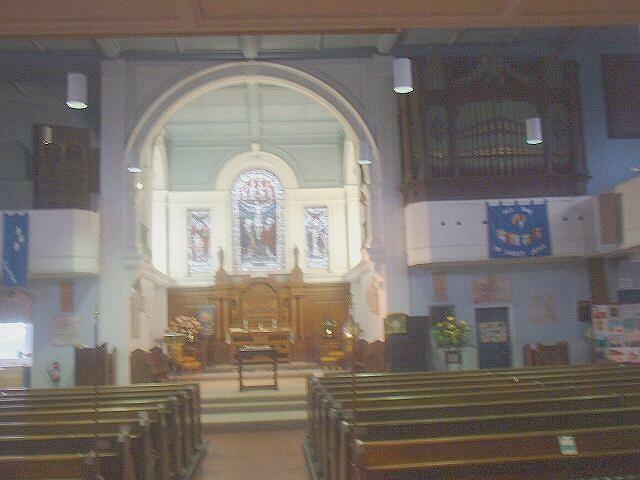 The photo also shows, top right, the display pipes of the Victorian organ, now, alas, silent. 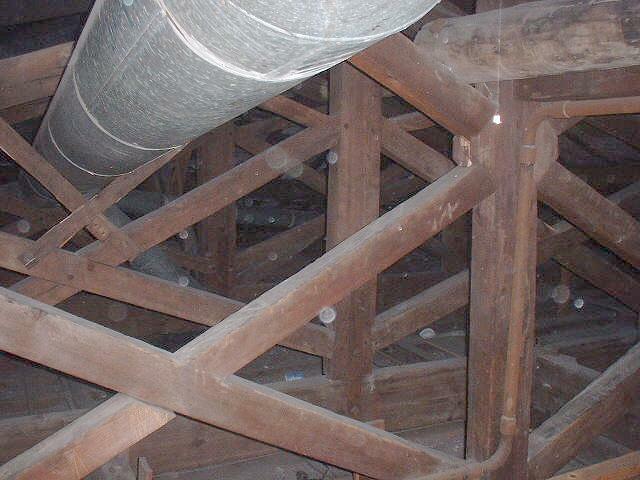 The ring of eight bells is also silent, due to a crack which extends the full height of the tower. 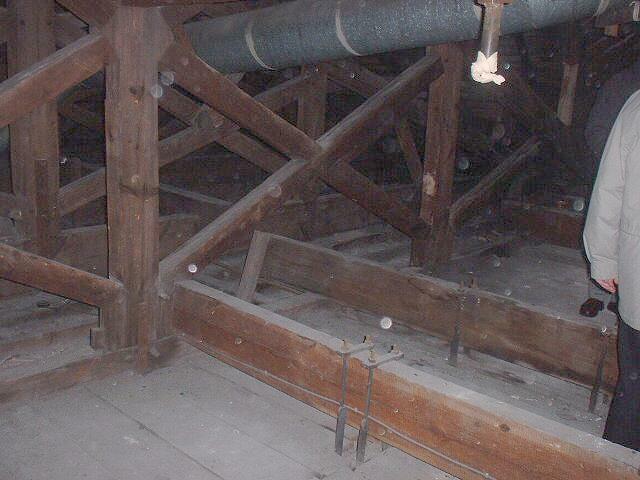 Remedial work is in hand, with support from English Heritage, and before too much longer they will ring out again. Repairs to the roof have recently (Sept 2002) been completed. This is a remarkable, bridge-like timber structure (what else would you expect if you ask a bridge-builder to design a church? 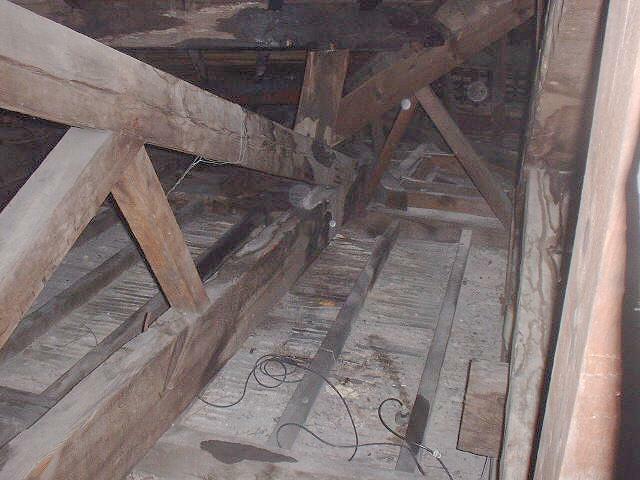 ), incorporating some very long timbers which span the area below. 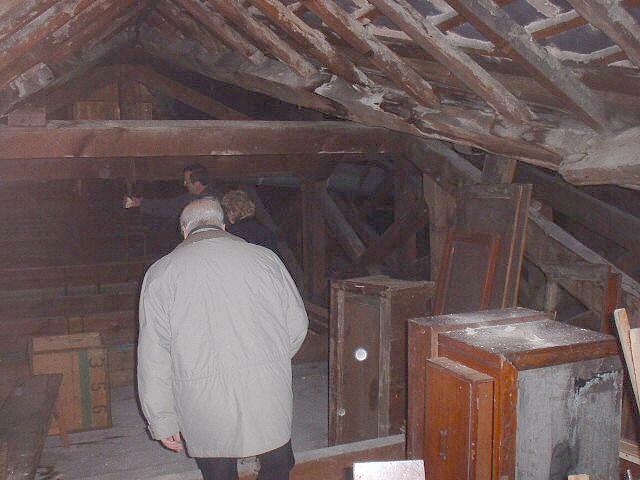 On first entering the roof from the tower there is a central area which is boarded in oak, and easily accessed. 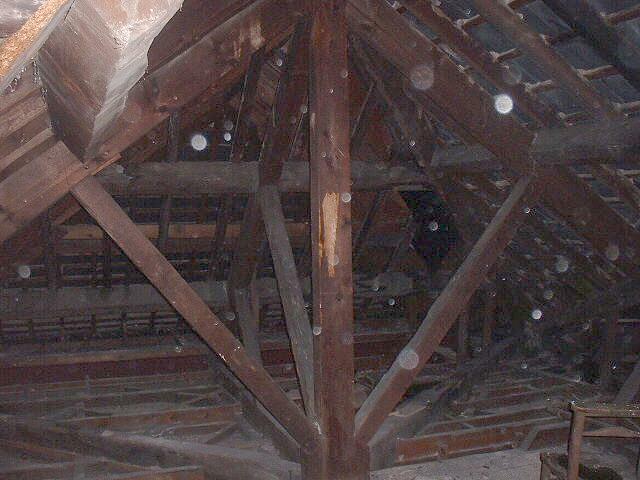 Either side is a forest of timber supports, whilst at the far end a triangulated structure supports the roof over the apse. The roof is of Welsh slate, which was "Turnerised" (a repair treatment) some decades ago. The turnerisation has broken down, and also renders the slate unrecoverable, so the entire roof will have to be replaced, with new battens, and with roofing felt to ensure the dryness of the roof area. The area is presently too damp for dry rot - it is to be hoped that drying out the wet rot does not produce perfect conditions for the dry! 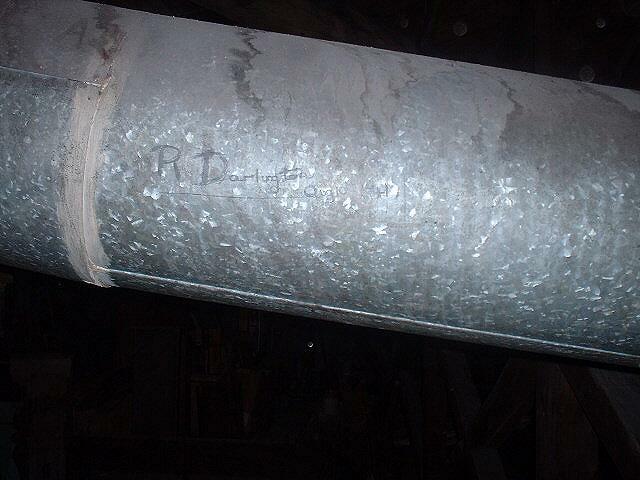 Through the roof runs a large ventilatilon duct, now unused, and pencilled on it a signature and date - R Darlington Aug 10th 1941 . Was the church used for firewatching during the war? 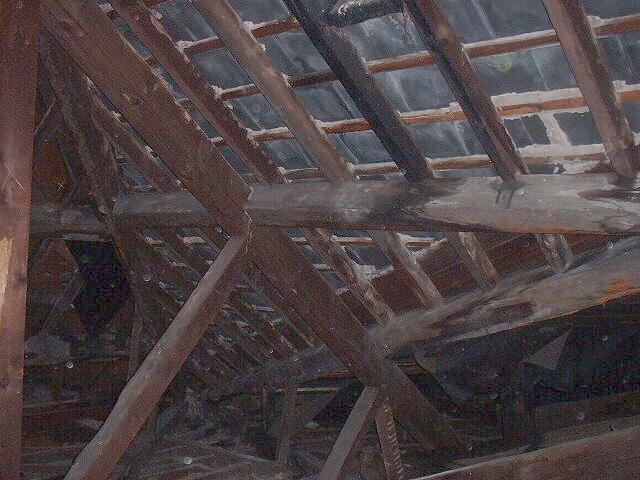 The original ceiling was plaster, and the lath-and-plaster structure is still visible from above. Below, though, the ceiling has been panelled at a later date. The cost of the recent repairs to the roof was �5,272; English Heritage gave a grant, and the church itself raised �,685.